Well, time to eat crow :). Research so far was unable to show increased bee and larval mortality due to neonicotinoid exposure at field relevant doses. The latest study, “Field realistic doses of pesticide imidacloprid reduce bumblebee pollen foraging efficiency” published online in the current issue of the journal “Ecotoxicology,” shows that neonocotinoids actually impact pollen foraging. I assume the impact on honey bees is similar to that on bumblebees. A hive exposed to neonocotinoids would collect less pollen and consequently raise less brood. Any beekeeper can see the effects: smallish clusters that succumb easily to pests and diseases and are not very successful at overwintering. The impact will look very much like a poor queen but it might be poor nutrition. Thoughts? In The News: Honey bees – will concern over health sting crop production? “Ban the neonicotinoids!” has become the rallying cry of many concerned with the decline in bee health. 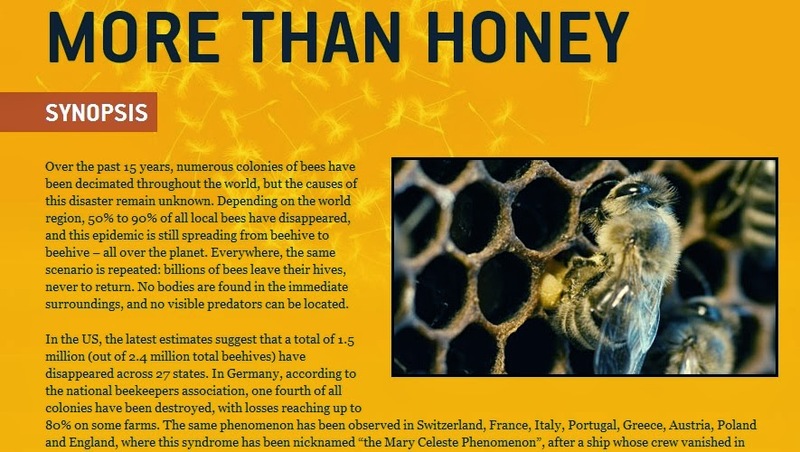 Unfortunately, scientific studies overwhelmingly suggest that the neonicotinoids might be the lesser of the two evils as far as bees are concerned. 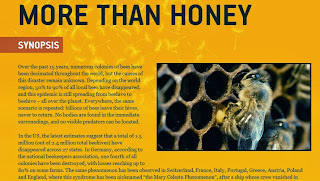 If you are curious about some of the research, you can check out Randy Oliver’s Scientific Beekeeping blog. Mechanical solutions to neonicotinoid dust at planting as well as educating the public about common sense usage that protects pollinators such as spraying at dusk or when pollinators are not flying and spraying when all bloom is spent make more sense than banning a whole class of products that drastically reduces aerial spraying of crops. What are your thoughts? Honey bees – will concern over health sting crop production? This year is brutal on honey bees everywhere. The record lows and the "Polar Vortex" here and the heatwave in Australia are testing the hives in both hemispheres. How are your bees faring so far? Australia's hottest spring on record has spawn droughts and intense heatwaves; it has been disastrous for honeybees as their hives are melting whilst temperatures soar. When was your last treatment for varroa mites? What was your last varroa mites count? Varroa mites have dramatically decreased overall hive survival and are responsible either as a direct cause or as a virus vector for the majority of beehive deaths in the last 20 years or so. At this point a lot of you, my readers, may decide to stop reading, because you are planning on having treatment-free or natural bees. Well, I have been able to to keep bees without using treatments since 2009 and I still think that keeping an eye on your varroa mites levels is very important, especially if you are planning on going treatment free or using an Integrated Pest Management (IPM) approach. I plan on describing how I ended up with treatment-free honey bees in one of my future blog posts, so make sure to subscribe to my posts from the "Follow me by email" link on the left. It does not kill bees. This is extremely important since for the best results, the bees need to be from the brood nest and in this way you can avoid killing the queen by accident. It is quick and most of all, you probably already have all the ingredients for it at home. For the sampling jar shown above, I used a small peanut butter jar and a small canning lid. I did not want to use a regular canning jar, since I was afraid of breaking it. I used the lid as a template in order to cut the insert and voila! my varroa mites sampling jar was all done! To facilitate the measuring of the honey bee sample, I also made a mark at the 1/2 cup fill point. In this way, I will be able to tell when I have approximately 300 bees to sample for varroa mites. For the actual test, you will also need 1 rounded teaspoon (tsp) of powdered sugar for each sample and a (preferably white) container into which to dump the sugar and the mites. Unfortunately, since we're not going to have a high above 20F for the next 2 weeks and it is still a couple of months before Spring, I won't be able to show you how to use your new varroa mites sampling jar for a while. Meanwhile, you can tell me in the comments what varroa sampling methods you use. I checked out the bee hive kits and the beekeeping starter kits offered by Betterbee, Brushy Mountain, Dadant, Kelley Bees and MannLake. I've compiled my findings in an Excel document that you can find here. I did not take the price in consideration as the beekeeping kit prices and associated shipping are constantly changing. My first observation is that you can save on price and on shipping by selected unassembled and unpainted hive components. Most of the hive components can be assembled with screws or nails and a bit of wood glue. My second observation is that there is not one single bee hive kit or a beekeeping starter kit that will have everything that you need in your first year. The majority of the kits that I saw are very light on supers (or simply have none included). They do not have any provisions to help you out during the swarm season and most of them include veil and gloves which in my opinion is not adequate for a first time beekeeper. With the above in mind, I think that the best beekeeping starter kit is Kelley Bees' "Deluxe Beginner Outfit". If I were to get this kit for a friend, I would also throw in the hardware for a single, in case a swarm happens. I would also at least add in a varroa testing kit or make one similar to the jar shown on Randy Oliver's Scientific Beekeeping. Did you start with a kit or did you assemble your own? What was your experience? Would you recommend a kit to your friends and which one if you do? Drop me a note in the comments, please! The Louisiana State University project to minimize impacts to bees from insecticides used in mosquito control. Mosquito control is critical for public health; however, insecticides can be hazardous to bees. Bees are essential for crop production and ensuring a healthy food supply. Practices and guidelines resulting from the project will be distributed to mosquito control districts and beekeepers throughout the U.S. The University of Vermont project to reduce pesticide use and improve pest control while increasing crop yields on 75 acres of hops in the Northeast. The awardees will also develop and distribute outreach materials to help farmers adopt these practices. The project’s goal is to reduce herbicide and fungicide applications by 50 percent while decreasing downy mildew, a plant disease. The Pennsylvania State University project to protect bees and crops by reducing reliance on neonicotinoid pesticide seed treatments and exploring the benefits of growing crops without them. IPM in no-till grain fields will be used to control slugs and other pests that damage corn and soybeans. Researchers will share their findings with mid-Atlantic growers and agricultural professionals. I am in corn and soybean country, so the Pennsylvania State University's project is the most interesting, provided the IPM approach is cheaper than the good ole' spay'em and forget'em approach. I do have to say that the farmers that are close to my apiary sites are very mindful of the bees and give me the courtesy call before spraying. Will any of those projects impact the agriculture around you? Would you like the EPA to fund a different project? Care to share? The movie's website is http://buy.morethanhoneyfilm.com/. Whether you are just starting beekeeping or have some years keeping bees, don't miss this movie! Splitting 18,000 hives in time to make a crop. This scene in itself is mind-blowing. You can also explore another angle of beekeeping in a remote Alpine valley. Beekeeping there is pretty much done the same way it was done 100 ago. You will see an actual working bee house, a queen mating flight and the amazing scenery surrounding the Alpine apiary. The documentary then takes you to the US Mexico border where you meet the "africanized" bees and a beekeeper that successfully works with them. Finally, you also get a glimpse of the bees before varroa - the Australian honey bees still are free of this pest and the associated viral load. If watching on Netflix, don't forget to turn your subtitles on! Enjoy! Maria's Bees is on YouTube! © Maria Donnelly, http://www.donnellyfarmsohio.com. Awesome Inc. theme. Theme images by molotovcoketail. Powered by Blogger.